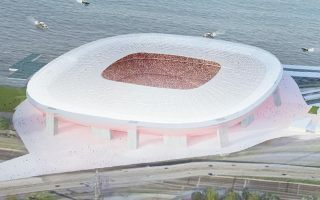 They're going to have one of the world's largest terraces for vocal supporters, accommodating some 20,000 people. And all these places are expected to be affordable for everyone. 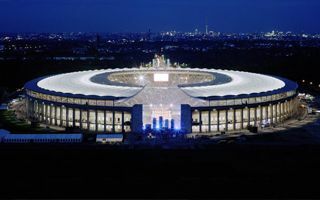 Athletes oppose the vision of football-specific Olympiastadion but so do many average citizens of Berlin. Recent survey suggests almost 40% don't want any further reconstruction. 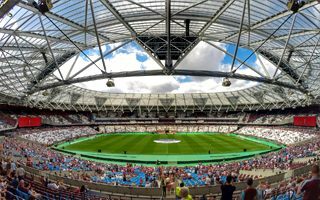 They enjoyed occupancy of over 99.9% during their first season at London Stadium, now West Ham hope to have additional 3,000 seats available for the 2017/18 campaign. 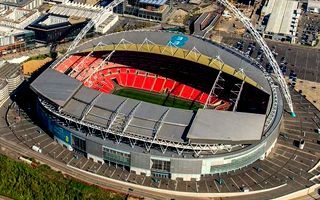 Leaky roof could take until late 2020s to be fully repaired due to Wembley's busy event calendar. Part of the funding is expected to come from main contractor's insurance. 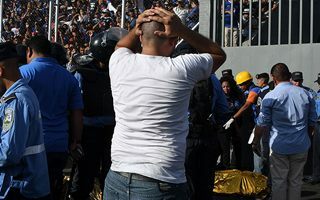 Four adults and an unborn baby have been killed ahead of the Motagua – Honduras Progreso match in Tegucigalpa. The scenario is frighteningly similar to other incidents of this kind. 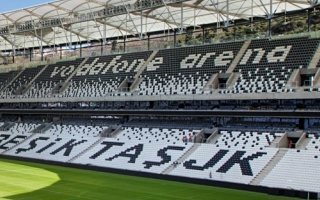 In an unexpected and somewhat childish move the president of Turkey declared the word 'arena' banned from Turkish stadium names. 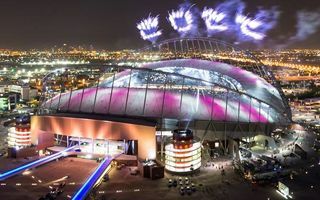 Galatasaray was the first one to comply. 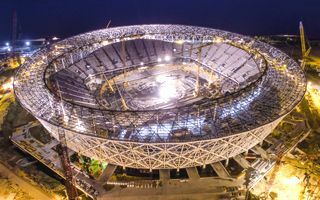 It's one of only two cable roofs of the Russian World Cup and the only one still waiting to be lifted. 88 hydraulic jacks are already waiting to begin the operation. 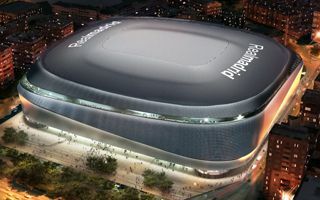 Sustainable development committee approved the plan of revamping Bernabeu. 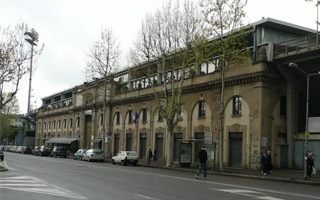 If the city council approves it (and it will! 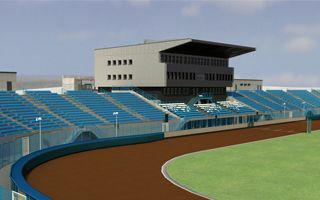 ), reconstruction may begin already this summer. The Aberdeen City Council has requested more information, including environmental surveys. Their decision will thus be delayed by no less than 4 months. 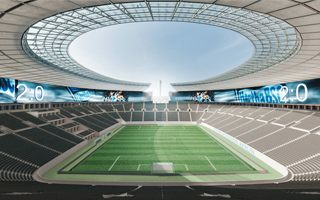 23.05.2017 Berlin: Olympiastadion reconstruction feasible after all? It's been dismissed for years, now a massive U-turn was done in just a few days. 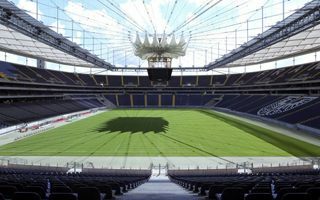 Hertha and the Berlin authorities will both examine how to convert Olympiastadion into a football-only ground. 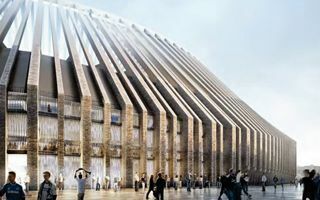 After unofficial revelations of the project being delayed to 2023 Chelsea are still yet to confirm a groundbreaking or delivery date. As of now the best guess is 2020-2022. 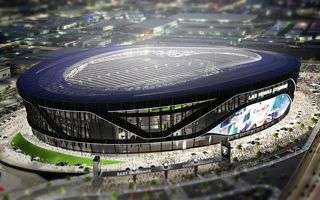 The biggest hurdle standing between the Raiders and their move to Las Vegas was finally cleared on Thursday when the Las Vegas Stadium Authority board unanimously approved the team's lease. 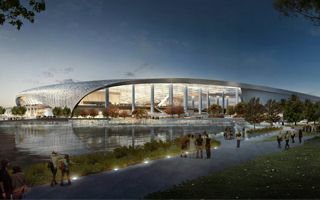 During the first community meeting about proposed MLS stadium the Beckham Group presented new rendering and promised more jobs to the community. 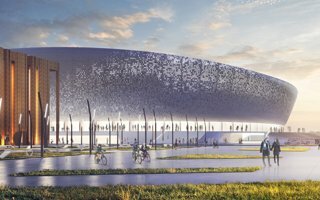 Could opposition stop this project? 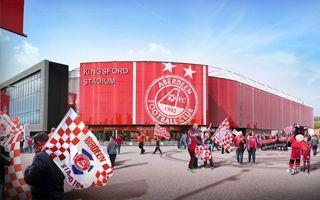 As of now over 30 people acknowledged that someone used their personal data to participate in Kingsford Stadium consultation process. 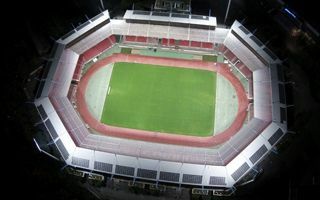 Current capacity of Stade de la Meinau is too low for the long term, but most importantly the stadium itself is heavily dated. 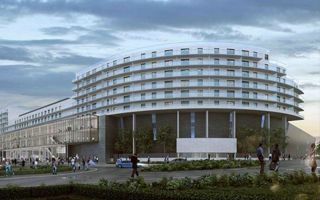 That's why a feasibility study into its revamp will be carried out. 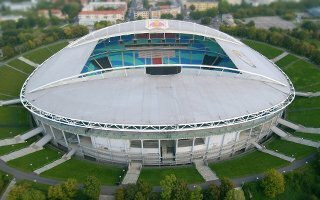 It used to be one of the most impressive stadiums in Upper Silesia, currently in prolonged disrepair. Now things are about to change with a four-step plan. Yes, that name is official. 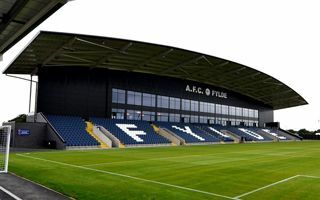 Yes, it does sound bizarre, but it also stands behind a fairly interesting football/rugby stadium in Merseyside. 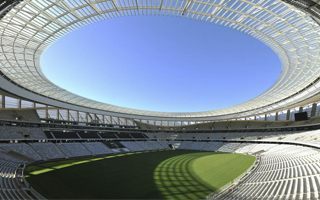 Meet Totally Wicked Stadium, for the first time at StadiumDB.com. 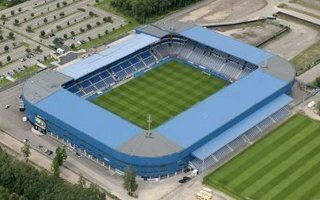 16.05.2017 Nuremberg: Dream comes true, Max-Morlock-Stadion is here! From the upcoming season onwards 1. 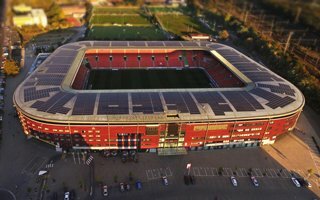 FC Nürnberg's home stadium will be named Max-Morlock-Stadion, just as the supporters had campaigned to happen for many years. 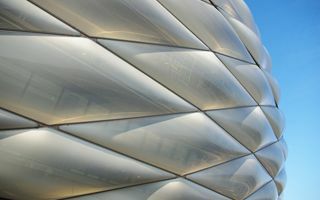 From the 2017/18 season onwards the home ground of FC Augsburg will finally stop being just bare concrete. 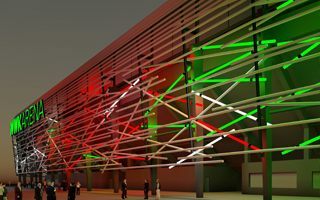 20 kilometers of tubes will cover WWK Arena, forming an interesting pattern. 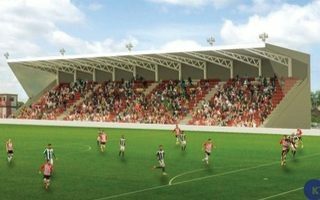 After years of waiting it's an exciting time to be an Exeter City FC fan. 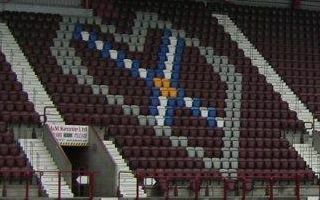 The 91-year-old main stand will be demolished and replaced by a new one, with student housing planned as well. 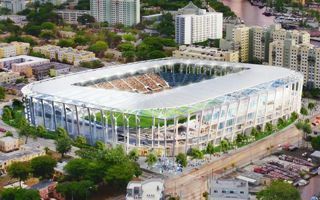 11.05.2017 New design: Beckham to finally seal the deal for Overtown? There's only 1 hectare of land left to be bought by David Beckham and his partners. 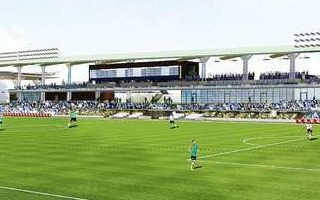 If sale gets approved and project accepted by the community, this is where the next MLS stadium gets built. 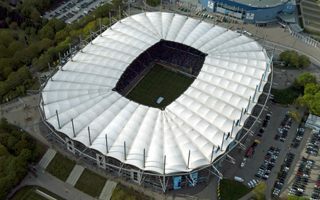 Sounders are one of the largest football teams outside of Europe. 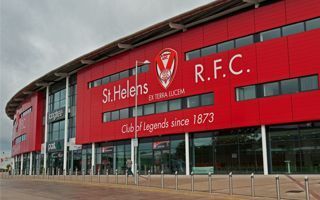 No wonder they've chosen to make their reserves a new franchise with its own identity and... stadium. 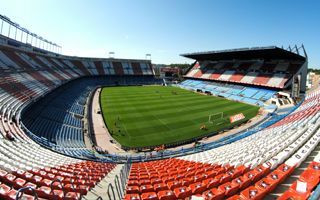 The Serie A club was selected as preferred bidder for the purchase of Stadio Atleti Azzurri d'Italia. In return they are now obliged to reconstruct it entirely, leaving only the historical part. 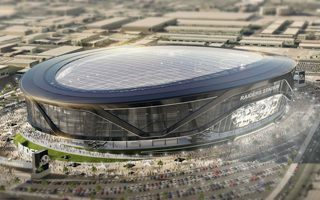 The Las Vegas Stadium Authority predicts construction of the 65,000-seat domed stadium will be done in just 30 months. That seems very unlikely. 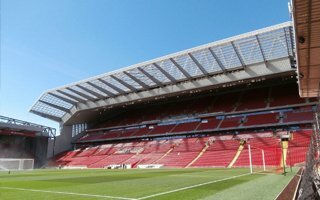 08.05.2017 Liverpool: Could Everton stadium cost Liverpool its UNESCO listing? 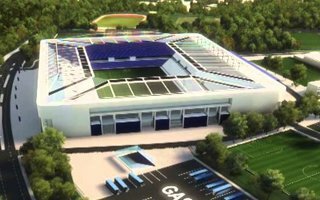 Location of Everton's new stadium has been selected. 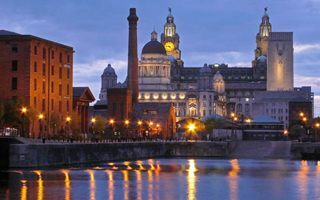 But it now turns out the Bramley-Moore Dock site might be too much for the city's fragile UNESCO World Heritage listing. 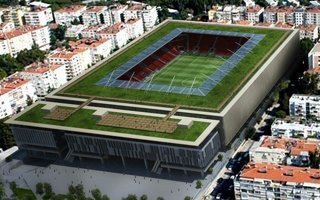 In 2017-2019 they will spend no less than €10 million to upgrade the famous stadium. 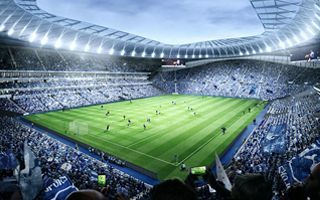 New floodlights, giant screens, crowd access and away section parking – just some of the planned changes. 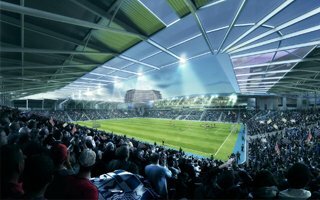 They won a historic promotion and now prepare to spend millions on stadium improvements. 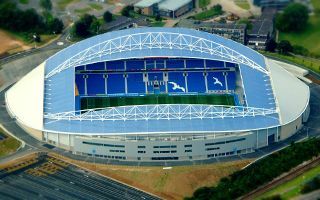 Brighton & Hove Albion have a busy summer ahead! 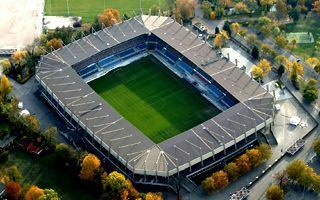 07.05.2017 Cologne: Can RheinEnergie Stadion grow to 75,000? 1. 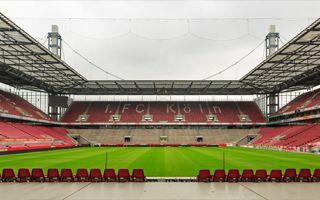 FC Köln and the city of Cologne agreed to launch a feasibility study to determine if and how the city’s Best stadium could grow by almost 50%. 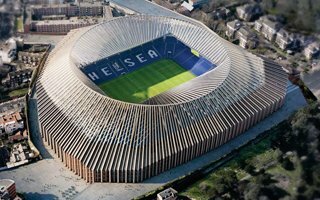 07.05.2017 London: Chelsea to move in as late as 2023? 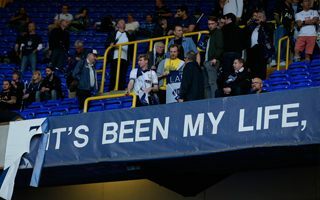 The 2017/18 season was expected to be the very last at the old Stamford Bridge. 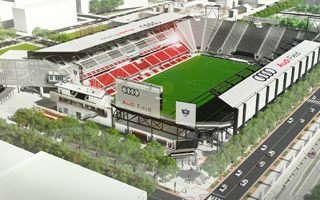 However, recent news suggest the move will come in mid-2019 and new stadium won’t be done until mid-2023. 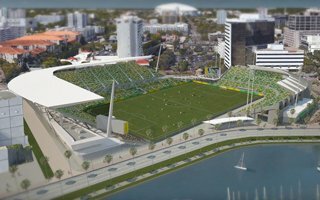 Referendum saw massive support for the Al Lang Stadium expansion, with 87% of residents supporting the project. 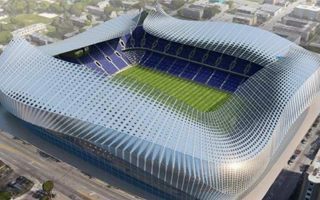 They even mentioned a stadium of up to 80,000 but now 57,000 seems too much for RB Leipzig. 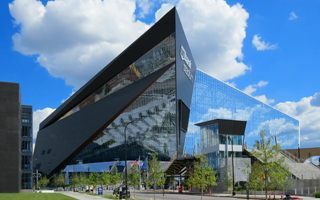 The franchise-alike club is going forward with expansion, but the plans have been cut back a lot. 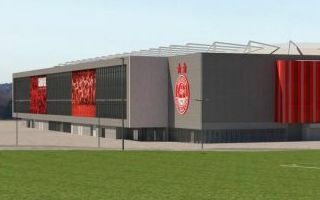 The mission of building Czechia’s new strongest club is in full swing as Chinese investors now have full control of both Slavia and their stadium. Now it’s time for construction works. 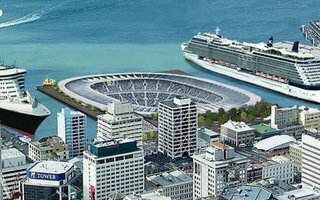 01.05.2017 New Zealand: World’s first underwater stadium? 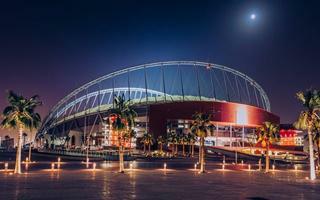 You’ve seen many waterfront stadiums. But this one is also below sea level, which makes it… well, extremely unlikely to ever get built. Still a stunning idea from Auckland.